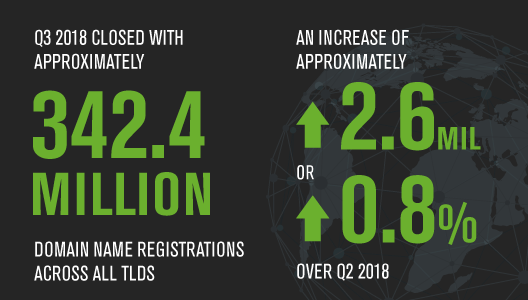 Late last year we updated Hosting Facts’ list of Internet, e-commerce and hosting statistics for 2018. We started publishing the list in 2016 and have updated it annually since. The list became an extremely useful resource that has been overwhelmingly shared and linked to — even on some of the biggest publications in the world. However, things move really fast on the Internet, and a lot has changed since we published that list. Here’s an updated list, which includes additional internet facts and stats for 2019 as well as updates on the current status of some of the facts included in the original list. Asia has the most Internet users of all continents — accounting for 49 percent of all Internet users (down from about 50 percent in 2017 and up from about 48 percent mid 2018). Europe is a runner up with 16.8 percent of all Internet users. 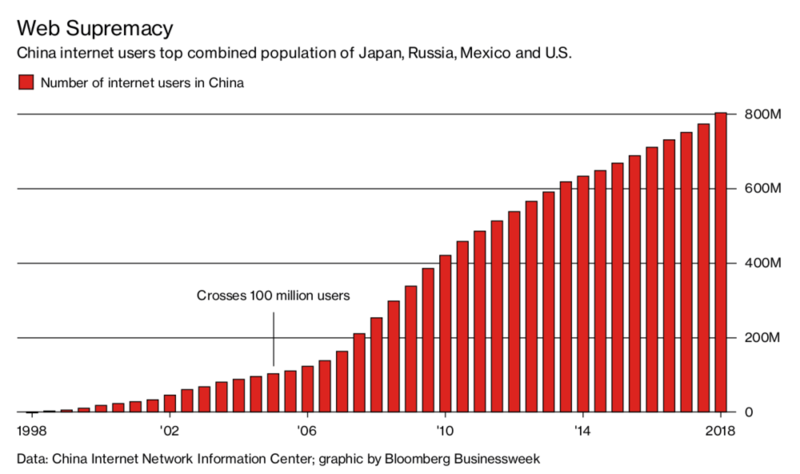 China has the most Internet users of all country. 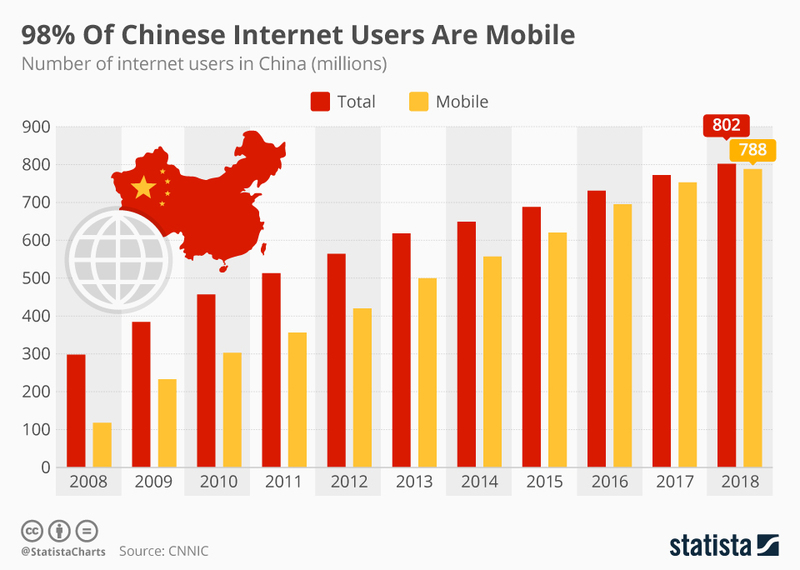 At over 802 million Internet users at the time of writing this, China currently accounts for almost 20 percent of Internet users worldwide. It is trailed by India, with over 500 million Internet users. Iceland is the country with the highest Internet penetration in the world — with an impressive 100 percent of its citizens using the Internet. 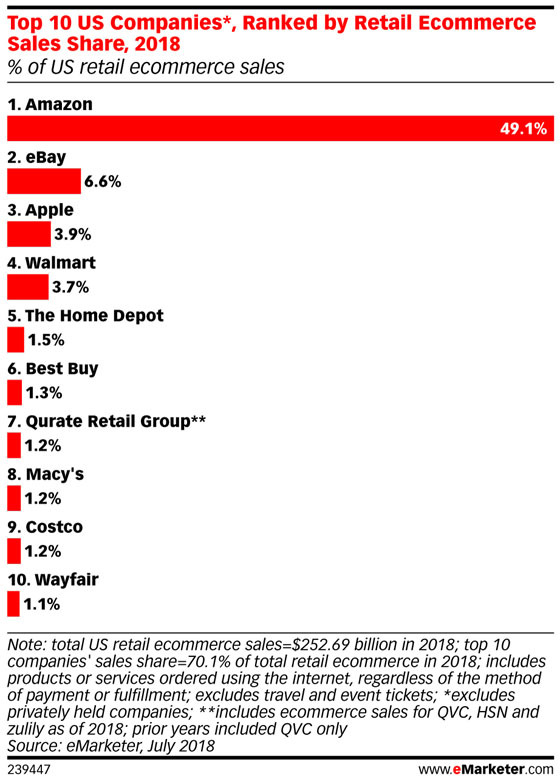 80 percent of Internet users in the U.S. are expected to make a purchase online in 2019. 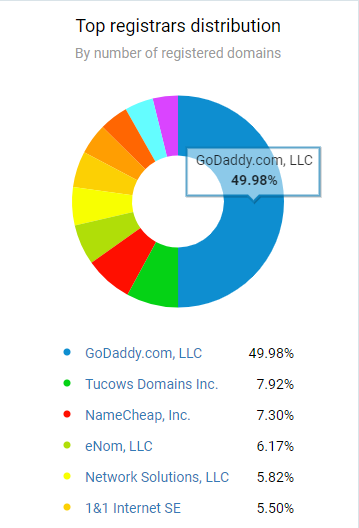 Having registered 49.98 percent of all domain names, Godaddy is the biggest domain name registrar as at December 2018. 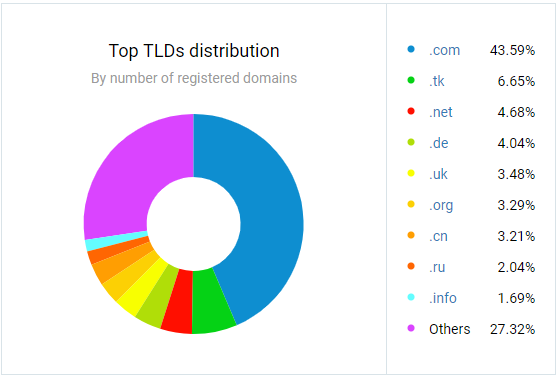 Over 90,000 websites are hacked every day. WordPress is the most hacked CMS — with 83 percent of hacked websites using the WordPress platform. For every $92 spent on generating traffic and getting customers, only $1 is spent on converting these customers. Only 35 percent of shoppers are willing to pay for delivery on online orders at all. The remaining 65 percent are unwilling to pay for shipping on online orders. Only 22 percent of businesses are satisfied with their conversion rates. Price determines where 87 percent of Americans shop. Shipping cost and delivery speed determine where 80 percent shop, and availability of discount offers determine where 71 percent shop. 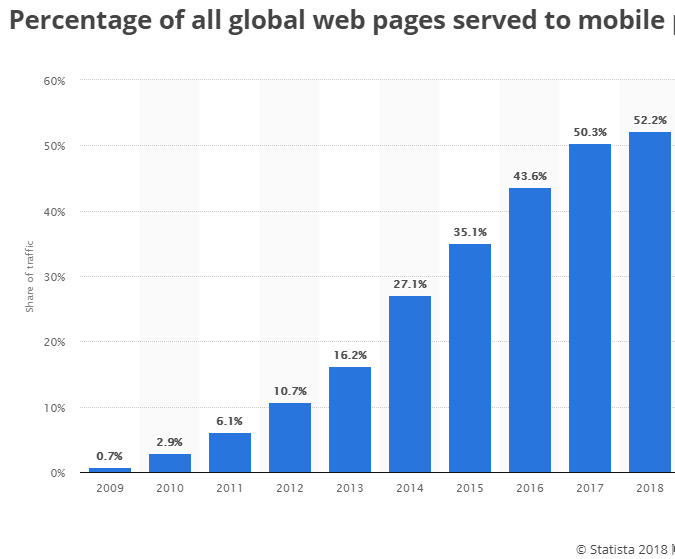 Being in the first position in Google will result in a click through rate of 34.36 percent for desktop computers and a click through rate of 31.35 percent for mobile devices. Businesses that calculate ROI are more likely to have an effective marketing strategy — up to 72 percent. 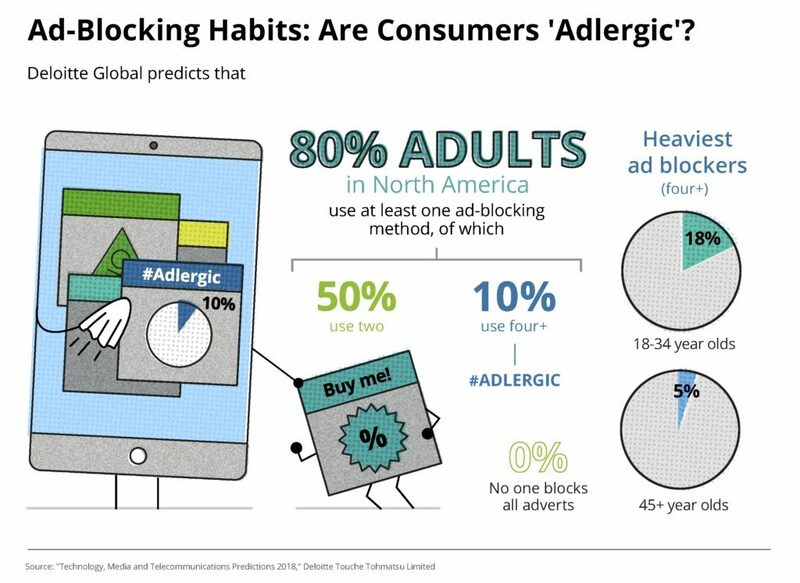 80 percent of adults in North America use at least one ad-blocking method. 50 percent of North American adults use at least two ad-blocking methods. 90 percent of mobile devices with ad-blockers are located in Asia. If nothing is done to address ad-blocking, it is projected that it will cost businesses $75 billion annually by 2020. 58 percent of buyers want the first sales call to include information about pricing while 65 percent of people want the first sales call to be focused on goals. 55 percent of ecommerce sales occur in branded stores while only 45 percent of sales occur through marketplaces. Online shoppers spend an average of $488 annually shopping on online marketplaces. 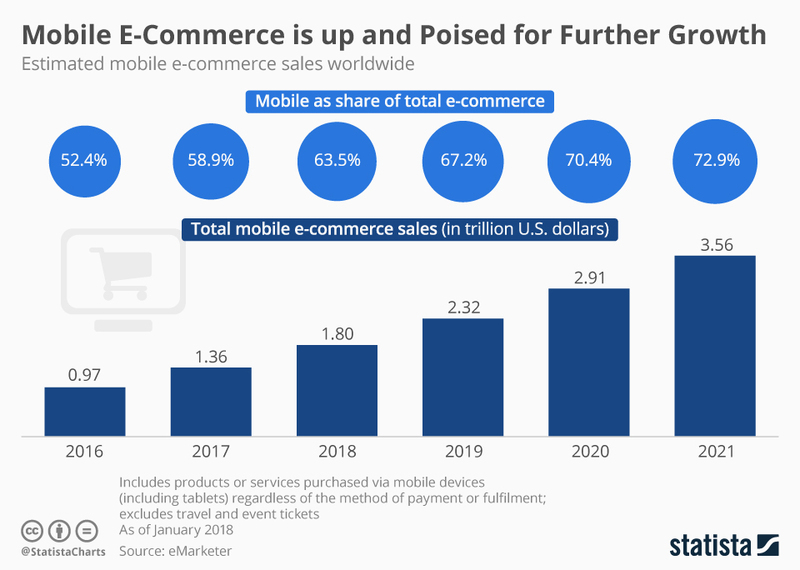 Mobile commerce revenue in the U.S. is projected to be $693.36 billion by 2019. 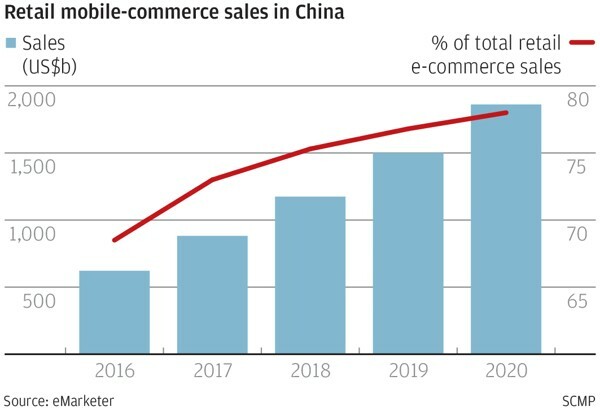 About 75 percent of ecommerce sales in China are done via mobile devices. The average order value for online orders placed on Smartphones in the first quarter of 2018 is $84.55 while the average order value for orders placed on Tablets is $94.91. 90 percent of the time spent on mobile devices is spent in apps. Engagement is up to four times better on mobile apps than on mobile web. At least 70 percent of people dislike mobile ads. About 400 million mobile users use ad blockers to avoid seeing ads on their mobile devices. 66 percent of shoppers have decided not to buy an item they were considering buying due to shipping costs. 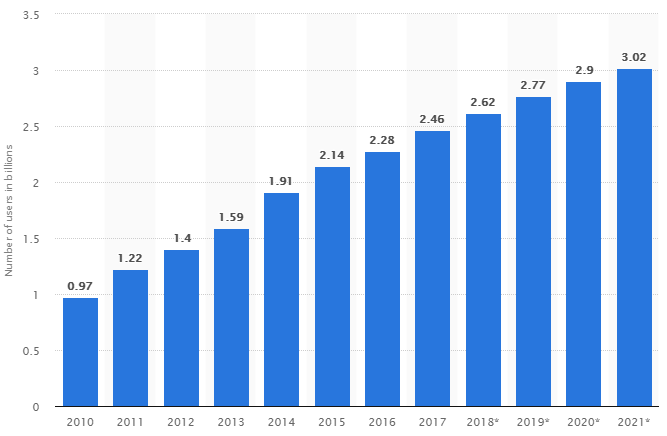 There will be an estimated 2.77 billion social media users in 2019. As at Q3 2018. Facebook has 2.27 billion monthly active users. As at June 2018, Instagram has 1 billion monthly active users. As at Q3 2018, Twitter has 326 million monthly active users. LinkedIn has 260 million monthly active users. 80 percent of Instagram users live outside the U.S.
32 percent of all Internet users are on Instagram. Visual content is 40 times more likely to be shared on social media than any other type of content. Facebook status updates with images get 2.3 times more engagement than Facebook status updates without images. People are 80 percent more likely to read content that has colored visuals. Infographics are 3 times more likely to be liked and shared compared to any other type of content on social media. Mobile is responsible for 92 percent of Facebook’s ad revenue. 64 percent of Facebook’s monthly active users use Facebook messenger. 30 percent of online shoppers are willing to purchase a product on social media sites.